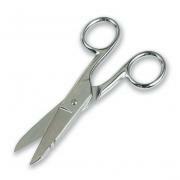 Detailed listing of our snips and electrician's scissors. 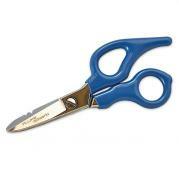 Cut and strip wire faster, cleaner and safer and minimize hand fatigue with these ergonomic Electrician/'s Scissors from Fluke Networks. Reinforced center joint design and coated ergonomic handles offer improved comfort and grip provide better leverage with less effort.